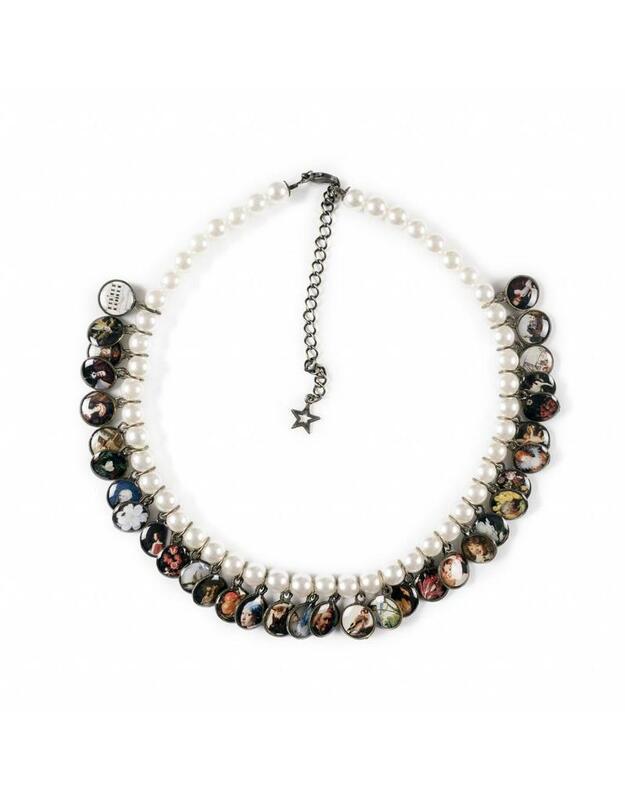 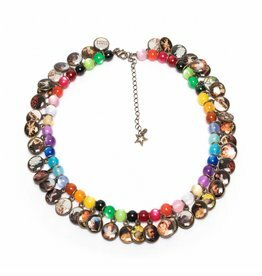 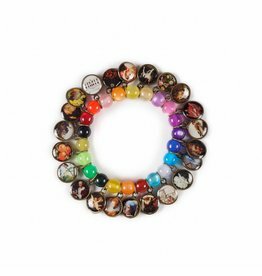 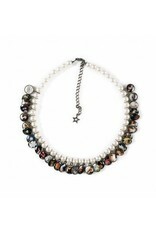 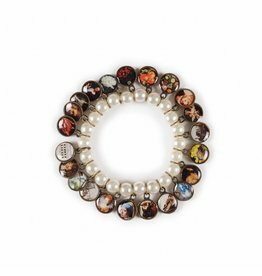 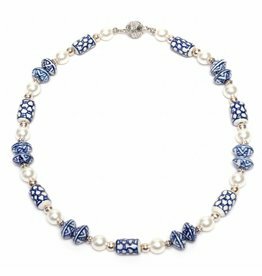 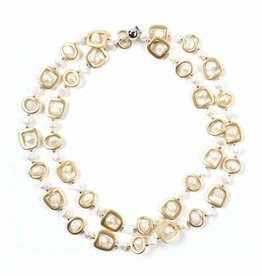 Necklace of charms with details of masterpieces from the Mauritshuis and pearl coloured beads. 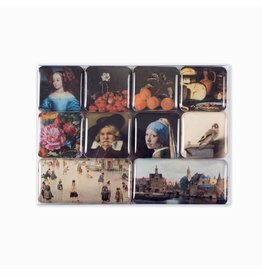 Images include works by Vermeer, Rembrandt, Fabritius, De Heem, Avercamp and Jan Steen. 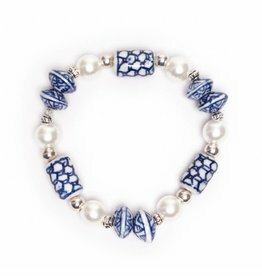 The bracelet is strung on an elastic band.